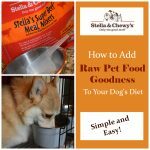 Note: Some Pets no longer recommends pet food and no longer covers kibble or any treats or food that contain high levels of filler grains, necessary ingredients, or sugar. This post was written previous to that change. 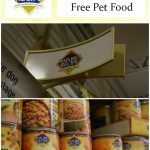 Awhile back, I wrote about Eve’s shopping trip to Petsmart® for Natures Recipe® grain-free dog food. Feeding grain-free food is very important in our household. Eve has a sensitive stomach and cannot tolerate grains in food. 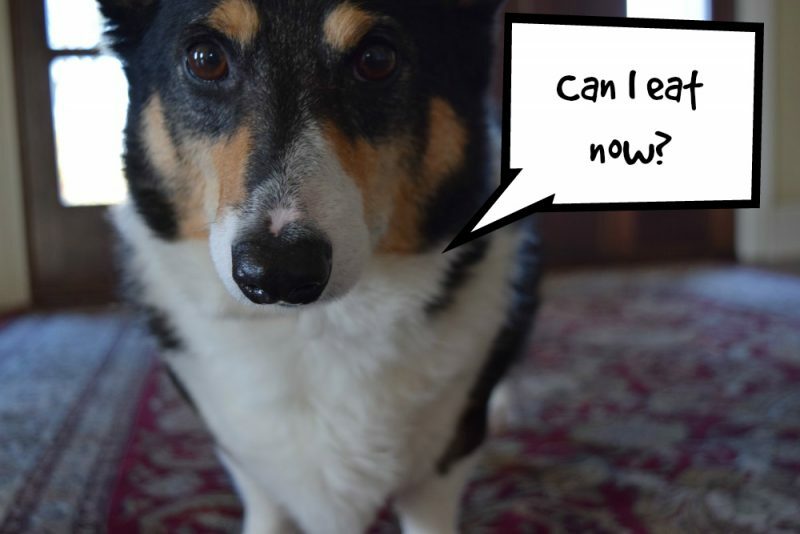 Meanwhile, Ty has Lymphoma and feeding grain-free food is highly recommended for dogs with cancer. So, there are no grains in our dog’s food or treats. 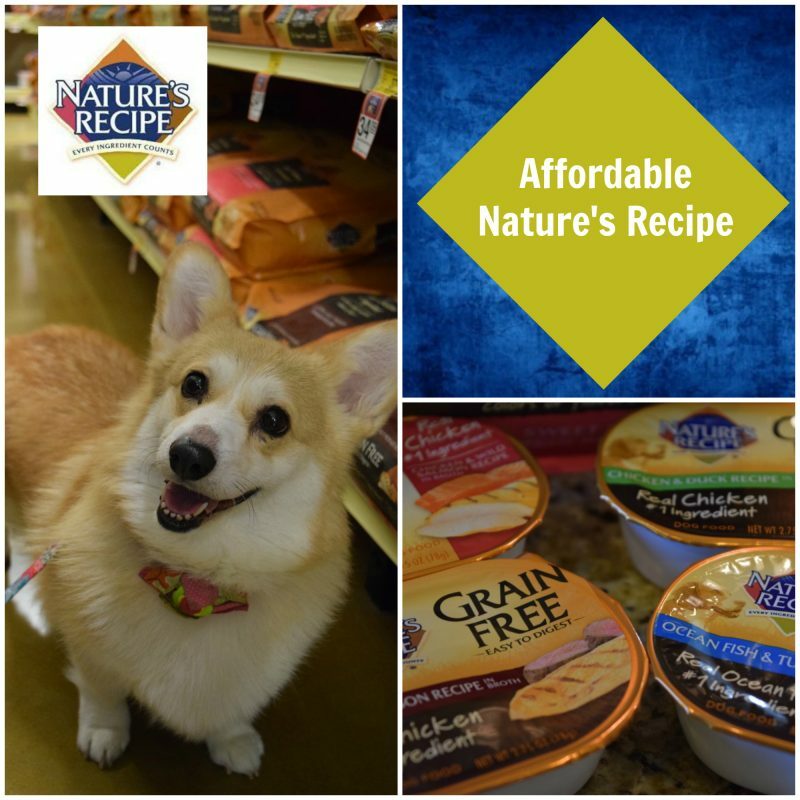 What I like about Natures Recipe is that it offers a particularly affordable grain-free food. This allows consumers to purchase quality food without breaking the budget. Is the product made from quality ingredients? Look for a product that has a balanced recipe and well thought out ingredient list. Do you need or desire a grain-free food? If so, look for specifically grain-free brands. If you do not need fully grain free, look for products what do not use corn or wheat and that instead use healthy grains as ingredients. Does it fit within your budget? There are quality affordable pet foods that can typically be found at a store such as Petsmart. If you are budget conscious and want to feed a quality food, Nature’s Recipe might be for you. 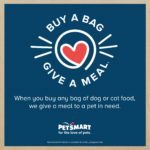 Nature’s Recipe is easily found at Petsmart and allows the consumer an option to take a step up in their pet food nutrition without a steep step up in cost. 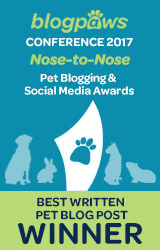 The company understands the importance of helping pet parents go natural on a budget. 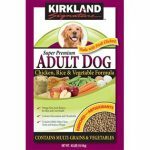 They also offer products for specific life stages: Puppy, Adult, and Senior. When it comes to ingredients, Nature’s Recipe has the moto “every ingredient counts”™. The brand is committed to providing nutritionally vibrant recipes for every pet every day. 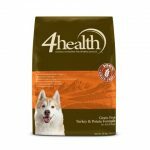 The dog food recipes are crafted to help provide specific nutritional or functional benefits, and they contain no artificial colors or preservatives. While I have focused on the dog food, they offer cat food as well. Ty certainly approves of Eve’s shopping trip choices! You can also follow Nature’s Recipe on Facebook. Ty and Eve are very sweet 🙂 Happy that you have found a food that works for them. Eve looks really excited about her shopping trip and food options! Eve and Ty are so adorable. My boys enjoy Nature’s Recipe stews as food toppers. It is always great to find reasonably priced food. Aren’t they so sweet – they look like dey totally lub Nature’s Recipe! We’ll check stout – thank you! Eve is so photogenic, she’s a great advocate for Nature’s Recipe! 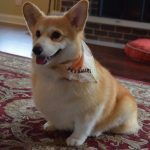 Eve and Ty make great spokespups! So cute! 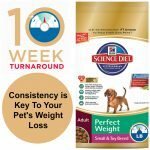 I love that Nature’s Recipe provides options for pet parents who have to consider food sensitivities. As a human with food allergies, I know how hard it is to have to eat special food! It has to be even harder for our pets. Yay for grain free recipes! I’m a big fan of grain free treats and food. Thanks for sharing this! 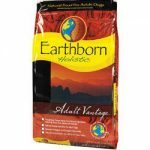 It’s really great that this company makes its food affordable for everyday pet parents! 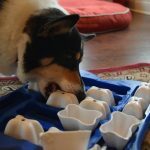 All of my kids like Nature’s Recipe – cats and dogs included! 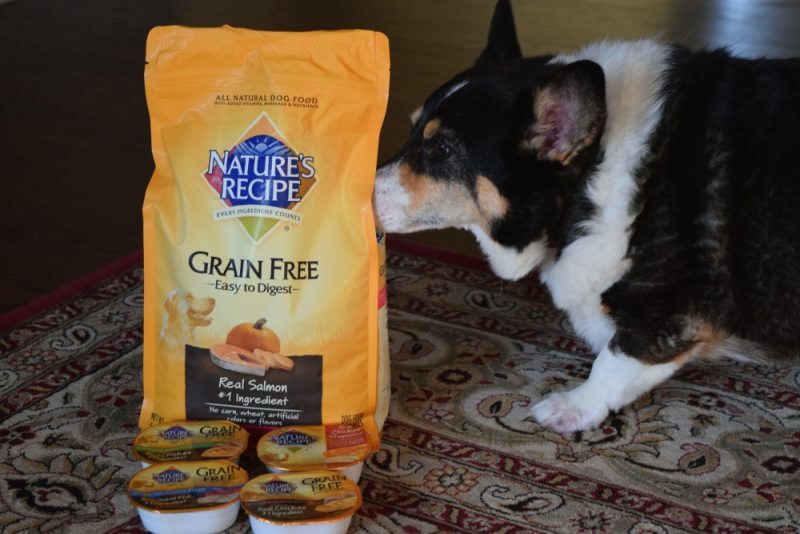 We also tried the grain free food as well as the doggy stews! It’s nice to know there are becoming more healthy options available. Thank you for sharing. 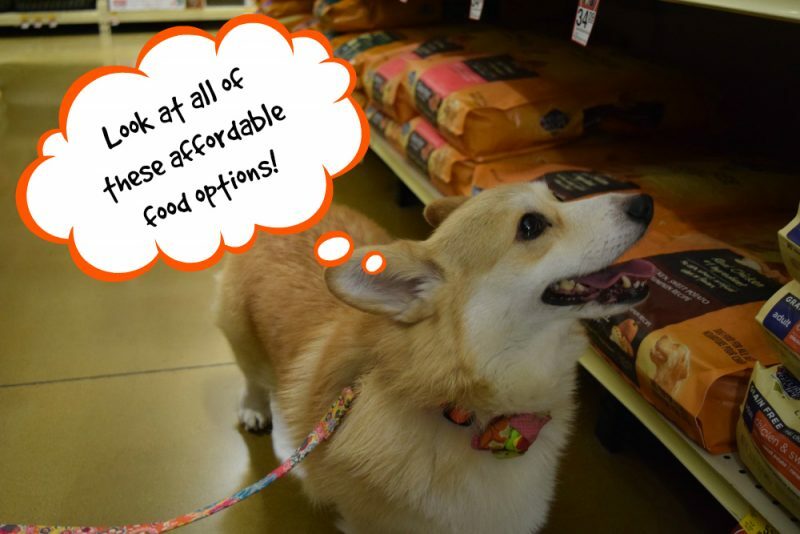 We really like that PetSmart is providing more healthy, high-quality food in their stores. Grain free is the way to go! 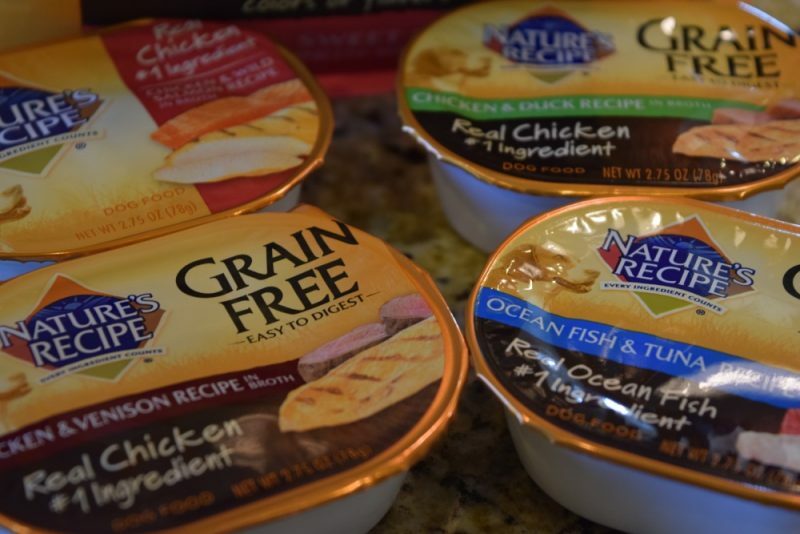 We’ve tried several brands, but we’ve been grain free for years. Finding budget friendly foods can be so important. Not everyone is willing to buy the expensive bags, but they still might need a grain free option. 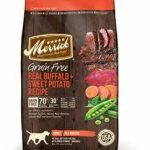 I was so happy to find a cheap grain-free option when Matilda was a puppy, since in the past, all we were able to afford for my old dog was full of corn. The difference is huge. Her poops look healthier, and she’s rarely itchy. It feels great to be able to afford foods to feel good about!